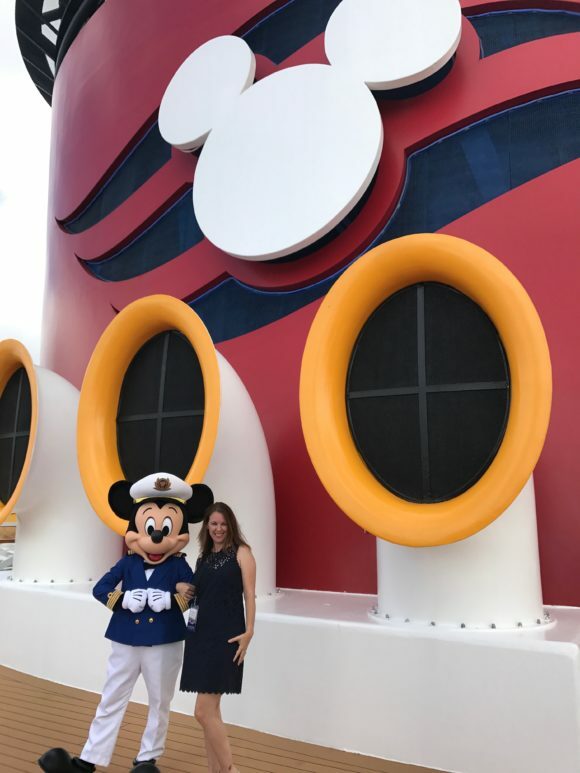 Last week I had the opportunity to visit the Disney Cruise Line, Disney Wonder. We’ve seen the Disney Wonder at sea before. So I was thrilled to attend their media day and get an exclusive tour of the Disney Wonder. You guys, I’m not going to lie… as the day went on, I kept texting my husband to tell him what an amazing experience I was having. And I never left the dock! For those of you who don’t know, my family has had a history of motion sickness. Our daughter Addie couldn’t take more than a ten-minute car ride without getting sick, and Doug? Well, you don’t ever want to sit next to him on a bus. 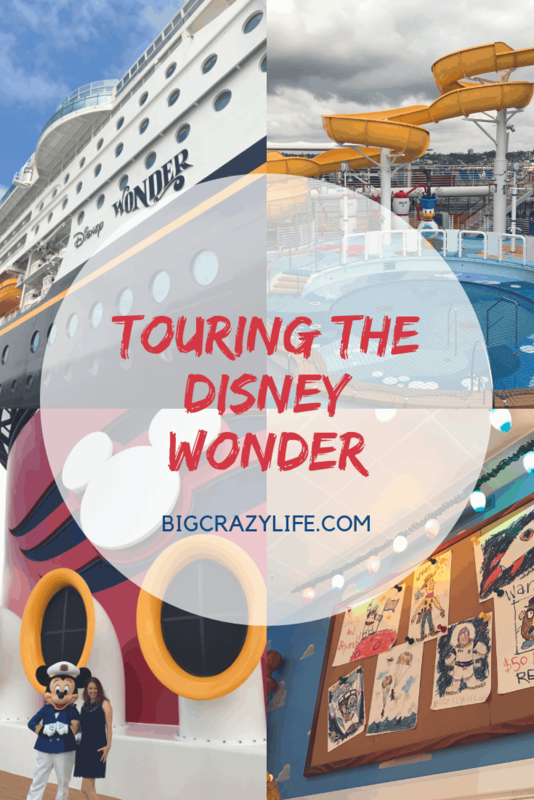 Even though we are huge Disney fans, we have never been on a Disney cruise. Thankfully Addie has outgrown her motion sickness or can take Dramamine and uses wristbands when needed. Doug, on the other hand, has yet to be convinced that he’ll be ok on a ship. We’ve got our work cut out for us around here. 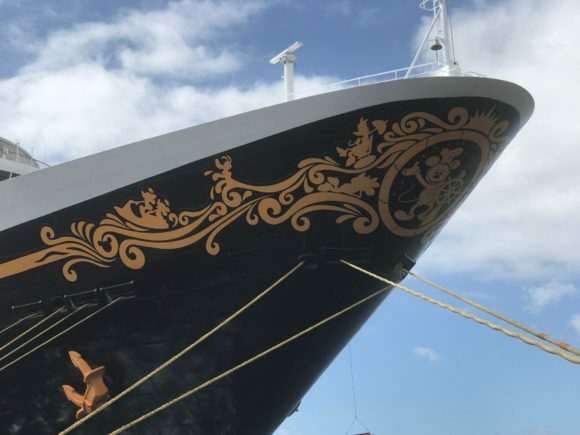 Disney has four cruise ships that operate year-round; the Disney Wonder has recently come off dry doc and has new features to share. 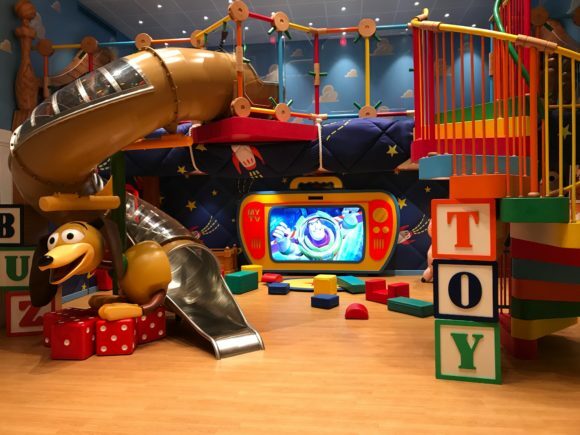 The Disney cruise has so much to offer. 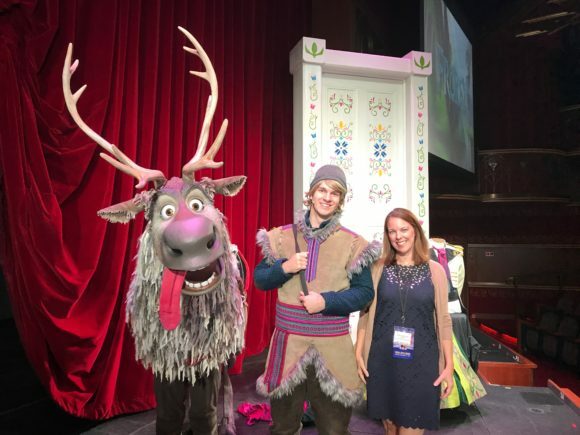 You can now enjoy Frozen, A Musical Spectacular, an all-new Marvel experience in the Super Hero Acadamy, fine dining at Tiana’s Place and these are just a few of the elements we experienced on media day. 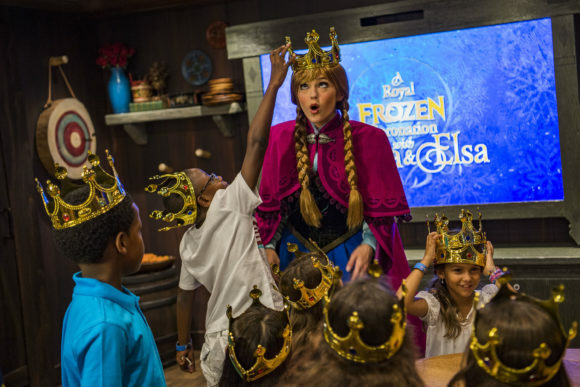 You can see Broadway-style musicals, experience fine dining, kids are entertained for hours, and all the while, you’re getting the legendary Disney experience. I know I sound like a Disney commercial, and I was hosted for the day, but let me tell you… I was floored. The Disney Oceaneer Club might be for kids three to twelve, but I could have spent hours in there as well. In true Disney fashion, it’s so well done. From Andy’s Room to defending the world from evil villains in the Super Hero Academy, I can tell you your child will not want to leave. Ever. As an adult, I didn’t either. 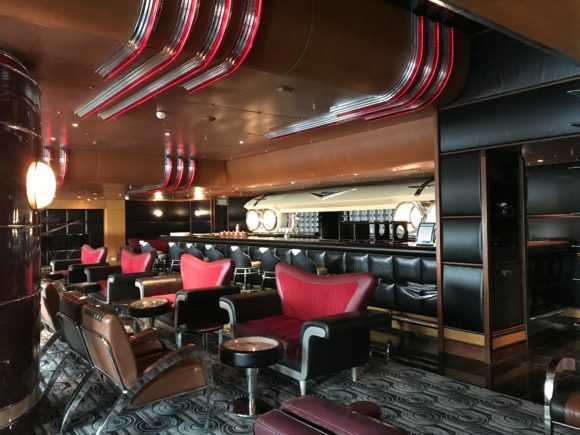 After a full tour of the ship, including the three pools, nightclubs, kids clubs, several dining options, and several staterooms, it was time for us to have lunch at Tiana’s Place. I might haven’t been able to hide my excitement. 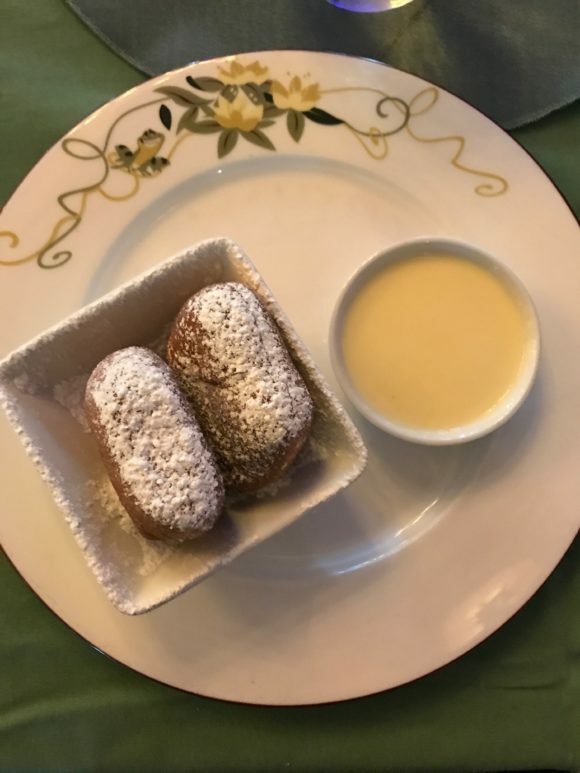 The lunch was fantastic, the Crawfish Crooner’s jazz band performed while we dined on a first class meal, and Tiana actually made sure our buttermilk beignets were perfect. Which they were. Just when we thought things couldn’t be any more impressive, we were treated to a chocolate and wine tasting event. They do these tastings a few times each week. It’s classy, informative, and rather impressive. I completely forgot I was on a cruise ship. It was such a treat, and the Cadillac Lounge was the perfect venue for it. When I came back home, I shared all the videos and photos with my kids. As you can imagine my children couldn’t get enough coverage of the Oceaneer Club or the…waterslide! This is just one more reason my husband needs to try a cruise with us. 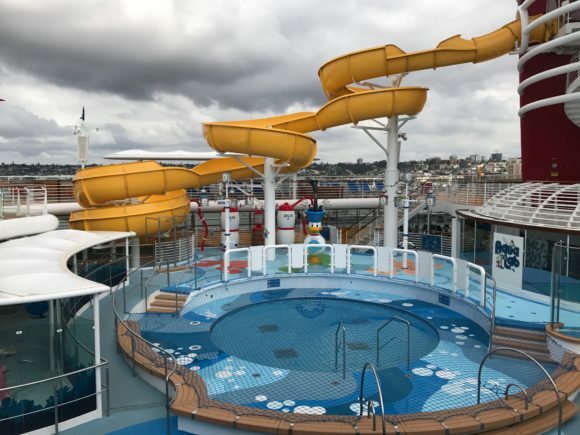 Adults are also allowed to make a splash when they hit this slide. Not for the faint of heart, I might add. I can’t even begin to tell you about everything the Disney Wonder has to offer. I spent half a day on the ship and we didn’t even see half of it. 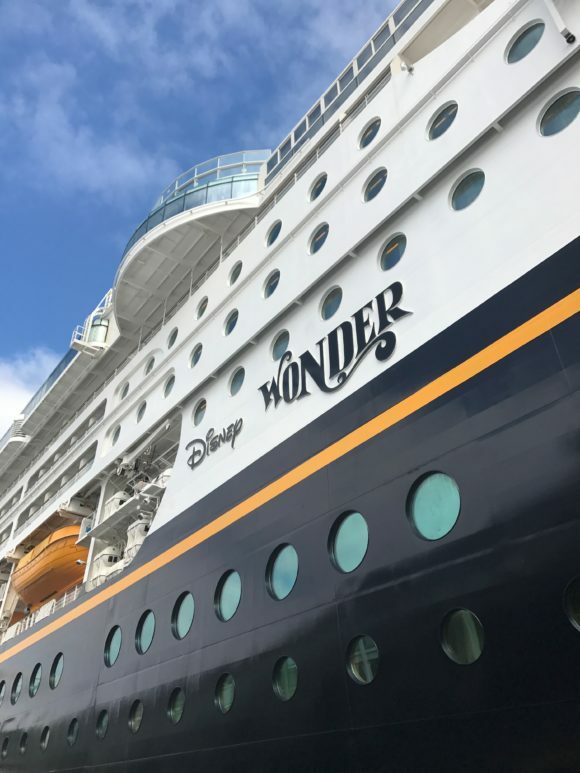 Disney offers several different types of cruise options throughout the year. 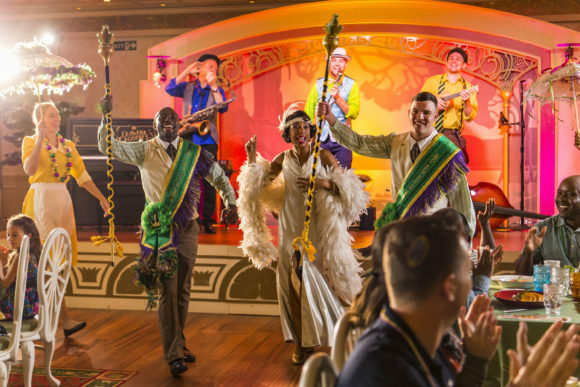 If you haven’t been on a cruise yet, come join us as we start planning our next Disney vacation… with or without Doug!